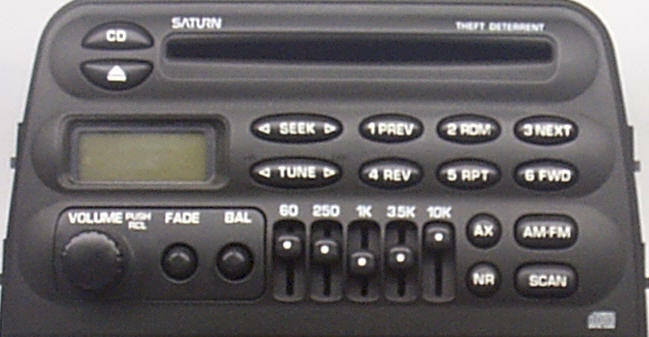 NEED Saturn Stereo Code? Must have "Hr" and "Min" buttons on face of car stereo. CD does not operate properly, will not play, accept or eject CD's, $185. NOTE - Delco/Delphi stereos are "VIN Locked". They only operate in the original vehicle unless recoded only by the dealer$hip. Delphi / Delco CD changer jammed, will not eject, will not accept, clicking or grinding sound on CD, $295. Before repair, try disconnecting one of the battery terminals for several minutes then reconnect. This may act as a "Reset" and bring the changer back to working condition. Otherwise, repair is needed. SINGLE CD Player - Accepts CD for a moment, does not play then ejects, $190. 6 CD Changer - Will no accept CD's, does not eject, will not play, $295. 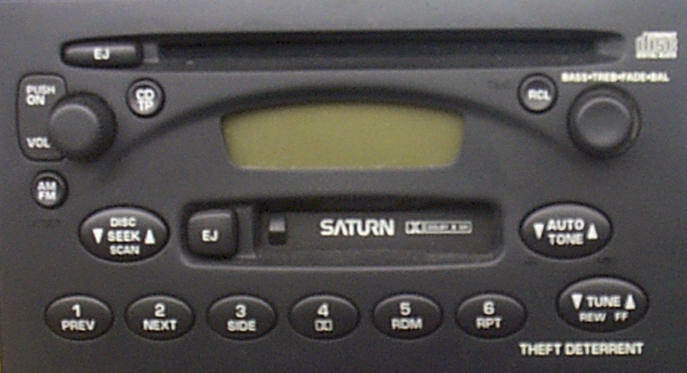 NOTE - See Saturn Car Radio Service Bulletin link above. CD does not operate properly, plays for thirty minutes then starts skipping and dropping out, $145. Tape functions incorrectly or not at all, $85-95. Many radio codes are available by email if you have an "HR" and "Min" button on the face of the stereo and NO RDS. All RDS radios require seeing the dealership. 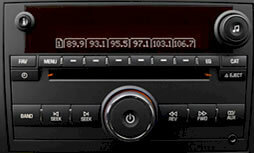 This radio needs to be placed on the car computer to program the stereo to work in the specific vehicle it is mounted in. Cd changer locks up, will not eject cartridge or play CD's. We no longer repair this CD changer. 21021216 / Delco CD error, we no longer repair this stereo.